To Hybrid or Not to Hybrid? That is the question. When you’re in search-mode for a new vehicle , fuel-efficiency and the environment come into factor (for most.) A lot of consumers are worried about their carbon footprint and maintaining a “green image.” For a lot of people, researching the option of a Hybrid is fairly common. I asked my father his opinion on Hybrid models, how many are driving them, whether they are projected to grow,etc. Just like any other vehicle, they fit a specific niche. Roughly 6% of car owners drive Hybrid. It serves a purpose … just like most cars do. Currently, he drives an AWD Hybrid Escalade. Oxymoron, you may think? However, he’s maintaining a certain lifestyle without sacrificing convenience or the environment. For the family man, lugging around grandchildren while pulling a boat, it’s a perfect fit. He is able to pile us all in; making only one trip to dinner at grandma’s. Oh and fulfilling his “Go Green” duties. So, if you’re in search of or interested in a Hybrid … consider your lifestyle. As always, if you have any specific questions, please let me know! Chevrolets Mission is “to design, build and sell the best vehicles in the world”. Attempting to achieve that goal, Chevy created the Cruze; to become the best-selling compact in the segment. So, tell me what you think about the all-new 2011 Chevrolet Cruze? [youtube]http://www.youtube.com/watch?v=atBc1BBuJ4s[/youtube] Today’s the day! It’s the beginning of an ongoing relationship between the McCarthy Auto Group and Price Chopper. What does that mean for you? If you’re a current customer of Price Chopper, you have already passed the test! Flash us your Chopper Shopper Card and receive EXCLUSIVE VENDOR PRICING on all new McCarthy vehicles: Hyundai, Nissan and Chevrolet. No haggling! How about that? 🙂 Oh … I almost forgot! Thru September 30th, we will throw in $250 in groceries ON US! Me and the Goodwrench guy! Most of the time “all season” tires are recommended! So, there’s more to tires than being black and rolling! If there’s anything here you want to know more about, shoot me a note and I’ll find out for you! 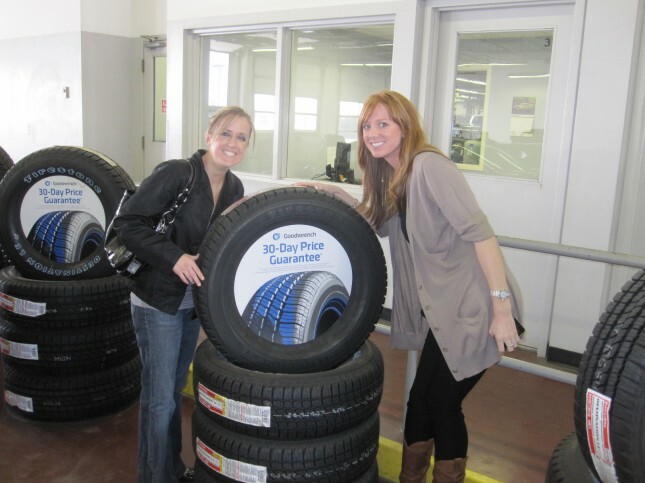 Helping my close friend, Emily pick out some tires! You’re ‘Sweet 16’ is just around the corner and it’s time to start the official car search? Or, heading off to college and you need a car? Now, before you log onto every automobile website out there, you need to have a sit-down with the parental units. Legally, the minimum age to purchase a vehicle (alone on loan) is 18, so you WILL need a cosigner if you’re under 18. There are a lot of things that need to be considered. You need to create a little budget sheet outlining your potential costs of ownership. You need to figure out ‘how much’ you can afford for a new car. Whether it’s a monthly payment you need to stay under or simply a cash amount. You need to know your limit and remember to never ‘live beyond your means’! How will you be paying for the car? Cash or Finance? What’s your price range? Monthly payment? Buying a car should be fun, so have fun! But try to stay calm and remember this is probably your first financial investment. Be smart and have fun! First time buyers, what questions do you have for me? What should I bring when I buy a car? Smiling face — because you’re buying a new car! Remember this: Buying a car is a huge financial investment. So, it’s going to take some time. But the most important thing is to find the RIGHT vehicle for you and have you leaving the store happy! I wanted to know which vehicle we sell the most of each month at our stores. So I asked the General Managers of each store what our top seller was for last month … and here’s what I found: [youtube]http://www.youtube.com/watch?v=O7zCTpYve50[/youtube] At our Chevy stores in Overland Park and Olathe, the top car has been our top seller for many months. It has been a Consumers Best Buy for the past three years. At our Nissan stores in Blue Springs and Olathe, the top vehicle represents the phrase ‘bang for the buck’. It is the best buy for the money. At our Blue Springs and Olathe Hyundai stores, the top car takes pride in its 10yr – 100,000mile warranty along with it’s 35 miles per gallon average on the highway. Check out my walkaround of the top Hyundai seller for more juicy details. I can’t wait to see which vehicle tops the charts this month. Rumor has it, the top three may stay the same! Have you recently purchased one of these top sellers? How do you like it? Most dealers and salespeople would say, “Come on in and we will take care of you!” And that is what we want you to do, however time is valuable and no one wants to waste it. In order to know if you should come in or call first when looking for a certain car, you’ll need to understand a little about how our new and used car inventory works. Pre-owned inventory All of our pre-owned inventory is loaded onto a system that spits it out to all the websites we use to display our vehicles such as autotrader.com, cars.com, mccarthyautogroup.com. The vehicles listed on these sites are for sale, but they may still be in transit to our dealerships. So if you found a vehicle online and want to test drive, I would advise you to call first to make sure this vehicle has hit our lot. Otherwise, you can purchase the car at any time — first come, first serve. As you know, pre-owned vehicles are one of a kind and they go fast! New car inventory Some people prefer to lock down a new car purchase beforehand. And it’s smart because the demand of certain vehicles like the Equinox, Santa Fe and Murano sometimes outweigh the supply. If you’re in the market for a new car, you should just come on in, get in the car of your choice and test drive! Luckily, you do have the option to specialize order a vehicle of your dreams if it’s not on the lot! You are always welcome to come in to the store to look around — especially if you are not sure what vehicle you are looking for. We want to make sure you find the vehicle you want and need! Have you ever gotten to the dealership in search of one specific vehicle and have it not be there? I know I’ve heard it before. Save yourself some time and give us a ring beforehand! If you’re looking for style, speed and sophistication … I have the vehicle for you. 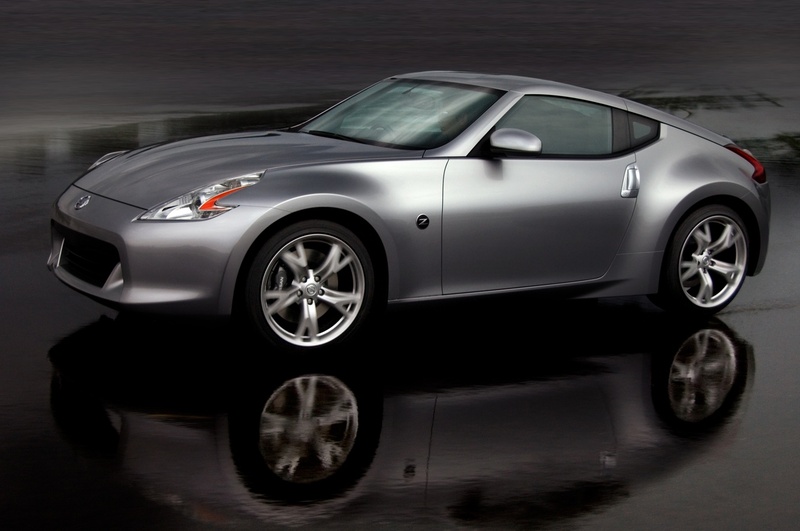 The Nissan 370 Z is a hot little number. Can you handle it? [youtube]http://www.youtube.com/watch?v=EY6g-bDMeoo[/youtube] A fun fact about the 370 Z is that Kelly Blue Book awarded it the 2010 Best Resale Value, recognizing the automaker’s outstanding achievement. Along with Consumer Digest which noted style, power and “crisp and exact” high-speed cornering when they selected the Z as winner of an Automotive Best Buy in the sports car category. You are going to want see more information on the Nissan 370 Z and it’s power! What do you think? Want a test drive?